Koko-di Koko-da is a film about overcoming grief. A couple, who is traumatized by the loss of their 8-year old daughter on the day of her birthday, go on a camping trip in the woods to try to reconnect and save their relationship. However, the burden of their past catches up with them and they get to relive their trauma again and again in the form of three nightmarish characters appearing from a music box their daughter received as a present. They are the physical presence of their grief in this highly artsy film by Swedish director Johannes Nyholm, with Leif Edlund as the lead character. Koko-di Koko-da is at the World Cinema Dramatic Competition at Sundance. What was it like to present your film Koko-di Koko-da for an audience here at Sundance? Johannes Nyholm: It is not a film like any other film. It will seem to be a very strange film for many people as it does not have a normal structure of how you tell a story. However, it is very important to me that the audience understands the film and gets something out of it. It is not valuable if people don't understand. I don’t want to just do artsy films for fun. That is not my style. I want to communicate. So it was fun to see that it actually worked. Leif Edlund: We have screened for a full house every day and they all stay and have a lot of questions at the Q&A. I think it is a film that stays with you after the screening because it is really emotional. What did you learn about your film by seeing it with an audience and hearing their reaction to it afterward? Leif Edlund: Every person I met after the screening told me about having gone through grief and they felt the same: that it is really painful. They want to talk to us to get comfortable but they also want to give us comfort. It is really nice and beautiful. I really understand now that this film is important in an emotional way. I did not think about that in the beginning. Johannes Nyholm: The film shows how fragile love, family and a state is. You think that you can control everything and that you have everything under control but in fact, you don’t have any control at all. You have a false idea that this is the way my life will be, but then just around the corner, there is a tragedy waiting for you. It will happen. Life is so fragile and I want to show that it is ok. You fall in those traps. The shadow play is a life made of air and paper and you cast shadows on a wall. It weighs nothing. It is like a card house. It is very fragile and the family is the same. It is a small happy family but it falls apart. However, you can build it up again and you can have hope. What made you call the film Koko-di Koko-da? Johannes Nyholm: It is a famous French children’s song, which exists in many countries with different titles. It is about a dead rooster that cannot sing koko-di koko-da any more because he is dead. It is a happy song with morbid undertones just like the film. It's a film about a couple’s loss and grief. But it is not a straightforward story – it is told almost in circles like the music box that plays a significant role in the film. How did you come up with the idea? Johannes Nyholm: We worked with the film in different sections and it evolved over time. We had this musical theme from the beginning but we had to encapsulate it in something. I wanted it to feel like it came from some magical item. That it had some powerful origin and then I came up with this music box. Music boxes are circular and you twirl them around. So it is like this circling structure and a song that is repeated over and over again. It works like that with the structure of the film. But also with the theme. The film is about relationships and sometimes you feel like you are walking in different directions and pulling in different directions and getting nowhere and it could be like an entrapment – a very claustrophobic feeling. How did you come up with the characters of the music box? Johannes Nyholm: It is important that you feel that they are iconic characters. They represent something else than themselves so they are strong and specific and theatrical. They are in strong contrast to the realistic environment that is in the rest of the film. The abstract element kind of bursts into the reality and puts it on fire so to speak. Leif, you play the lead character, Tobias. What was your reaction when you read the script the first time? Leif Edlund: I fell in love with it. I have seen Johannes’ work before so I was really glad he asked me to do it. It is fun working when you allow fantasy to flourish and you can bring your own fantasy to it. For me, it is about the grief you feel when a relationship is falling apart. It is about how to explain grief in a physical way. For me, the iconic figures are grief – it has become physical. Both of my parents committed suicide so for me the grief became so true when we shot this film. The grief is a physical pain that you need to confront. If you try to flee from it, it is going to be much harder and it will be there just like these iconic figures, who show up all the time and beat you. 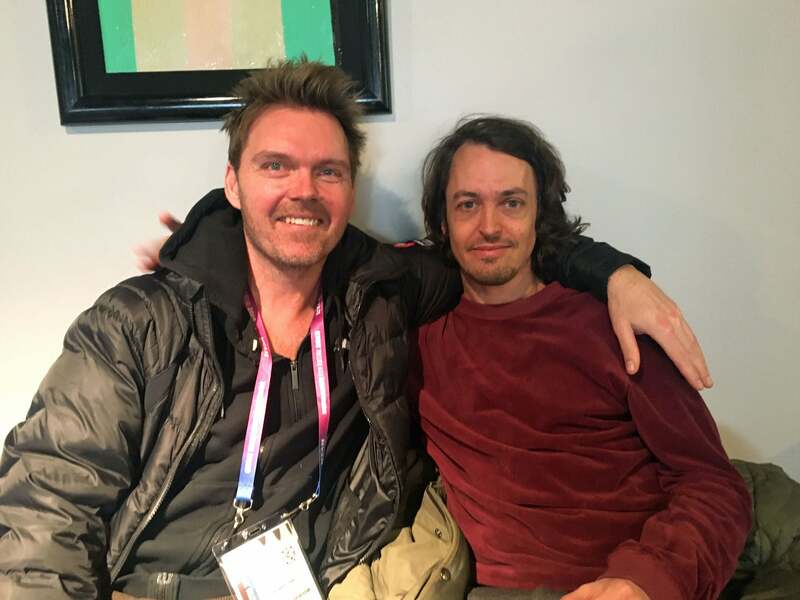 Actor Leif Edlund (left) and director Johannes Nyholm. You shot a lot of the film in the woods. Was it an easy shoot? Leif Edlund: We shot it in September in Sweden and quite often September is a good summer month but this September it was really cold and rainy, so we were freezing all the time. I had to run around in my underwear and I had lost 20 kilos before shooting in order to reflect the character’s state of mind, so I was really freezing. But we had a good idea about how to do every scene. The more sweat Johannes wanted me to have, the more intense the scene should be. Every time he wakes, it gets more and more intense every time. Johannes Nyholm: Before shooting, I thought it was an easy script to film because, in the woods, we basically had one scene. I thought the only risk was that it might rain. It rained every day for three weeks. At the beginning of the film the couple goes on a vacation in Denmark with their daughter when tragedy hits them. Why this particular location? Johannes Nyholm: It should be a very big contrast to the dark woods and I thought where do we have the biggest contrast to the big dark woods that this couple would go on a vacation. This place is of course Skagen. It is so bright and the light is so intense. So there is a really big contrast between the two vacations the couple goes on. Johannes Nyholm: We are working on something together. We have started a really funny project that is just about having fun and producing a lot of energy. We are working with a lot of people who are fed up with the way the film industry works, so we turn everything upside down and we ask the question: Why was it more fun before? The last ten years there has been too little of that for me. It has been about meetings and financing. Leif Edlund: We come up with ideas and when we find them good enough, we shoot it. Johannes Nyholm: We love each other. Leif Edlund: Truly. I think we have the same sense of humor. It is a little far out. Do you think this film is funny? 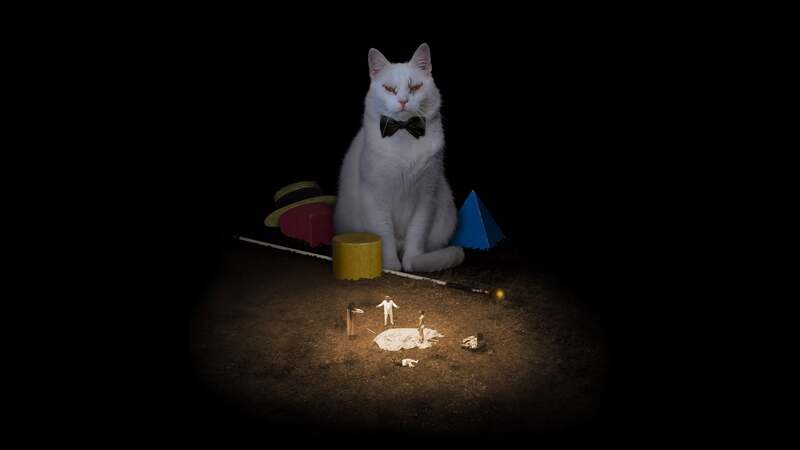 Johannes Nyholm: I think it is a slapstick comedy. It is inspired by slapstick. Some people really laugh when they see it even if they are not sure if they are allowed to laugh when it gets nasty. Some parts are funny and it is hard not to laugh. It is interesting that people feel many different things and respond differently when they see it.